QuickTime is the primary media player for Mac OS computers. QuickTime was made by Apple to do all kinds of multimedia purposes. Even though usually compared with movie playback, QuickTime Player could perform better and more. It is good for watching movies, listening to audio, enjoying animation, or relishing good music, QuickTime becomes to be the main engine that performs all your multimedia essentials. The QuickTime movie file format is a special file format that has manifold tracks for loading media of different sorts. QuickTime can support the format MOV, MPEG-4, MPEG-2, MPEG-1, 3GPP, 3GPP2, AVCHD, AVI, and DV. But what are you going to do if you have recorded a video using your camcorder and you want to play it on QuickTime? We all know that most camcorders produce MTS formatted files, and this type of format doesn't play in QuickTime. The quick solution for this is to convert the file using Wondeshare Wondershare UniConverter for Mac (originally Wondershare Video Converter Ultimate for Mac), but how would you do this? Follow the step by step guide below. If you are one of those people are struggling to play MTS format files with QuickTime, Wondershare UniConverter (originally Wondershare Video Converter Ultimate) is for you. Go and download Wondeshare UniConverter (originally Wondershare Video Converter Ultimate). Downloading and installation should only go for few minutes. When the download and installation is done, launch the software and import the MTS file you want to be converted. There are two ways to do this, first is by clicking the Add File button and selecting the file or files manually, or by just keeping the source folder open beside the program window and dragging the MTS file to it. In order to do this, click the dropdown arrow from the Target section and then a list of different formats will appear. Choose any format that can be supported by QuickTime media player and MOV is recommended. After choosing output format for your file and you're ready to convert it, simply hit the Convert icon at the bottom right side of the program window. It should only take few minutes until the slide bar becomes full and it'll be 100% ready for viewing on your QuickTime media player! You see, playing and watching your MTS file from your QuickTime media player is not impossible, just follow these simple and easy to follow steps and you are good to go! But what if you can't afford paying such amount for video converting software? Well, you're lucky because Wondershare Free Video Converter is here for you! Yes, absolutely FREE for everyone. Just like the paid version, it is very easy to use video converter made for Mac users. 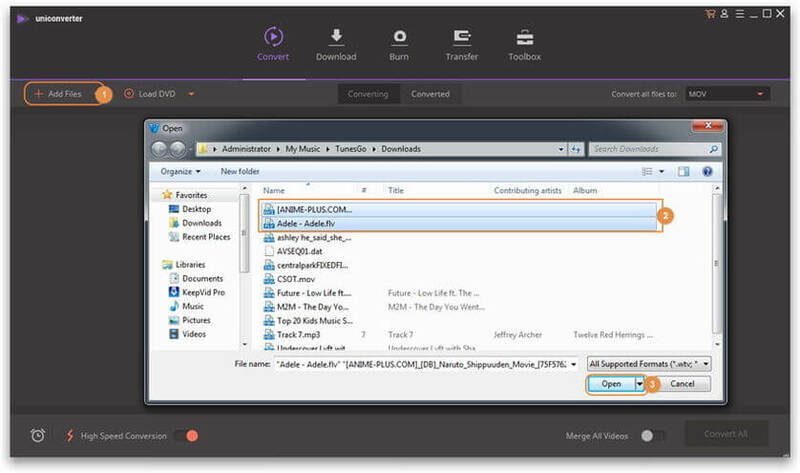 This amazing video converted can help you in converting multiple video and audio files easily at the same time, you can now make all your files compatible for any devices you have for better and more convenient viewing pleasure. 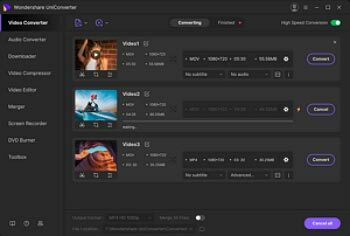 In addition to its necessary conversion purposes, it also offers built in basic editing features such as cropping, trimming, merging, rotating, adding water mark and subtitles, and a lot more to improve your and your viewers' visual pleasure. It also has a built in search and download feature you can use for find and download videos directly from video sharing websites like YouTube so that you can still watch videos even without having to connect with the internet. By just adding the video URL, setting its output format, you are able to have your own soft copy of the live video you can find online. 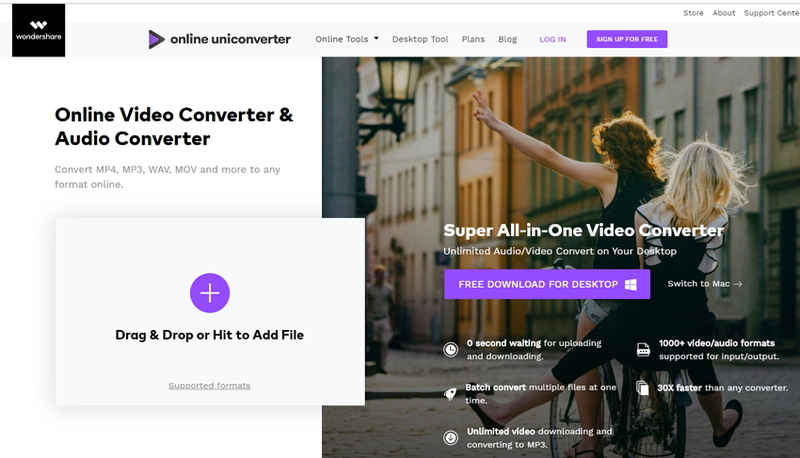 If you prefer to convert MTS to QuickTime MOV online, a good way to do it is by using Online UniConverter (originally Media.io). 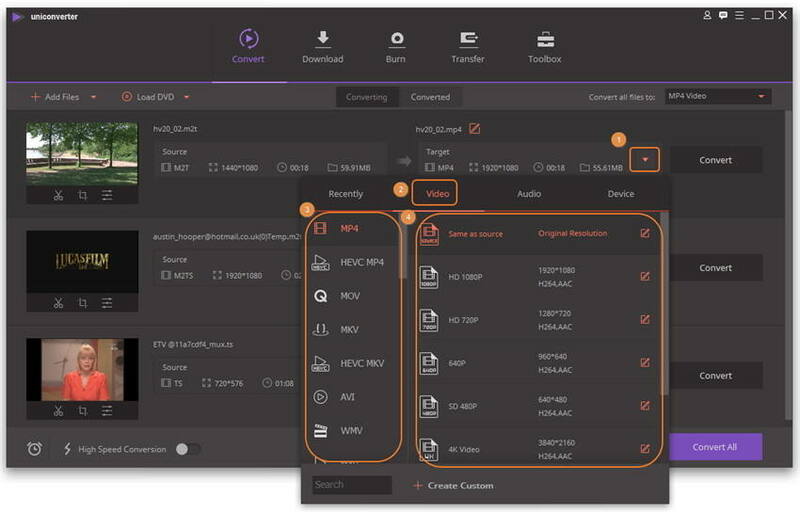 It is an easy-to-use online MTS to MOV converter that can help you convert media files without installing additional software on your computer.